I’m not really into knives per se. as they are really just utilitarian tools to me. But this one sure is pretty! I came across the picture while browsing about, and have no further information. 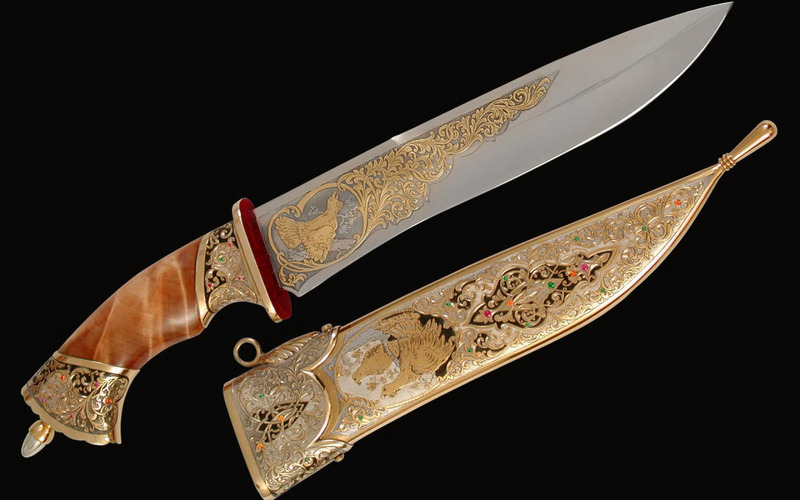 Had you been living on the frontier 175 years ago, you would have carried something very much like that bowie knife. I have little doubt that the knife my long ago self would own would be just as functional, but it probably wouldn’t be anywhere near as pretty. This would be your dress-up knife. It’s a handmade item by an artists’ collective in St. Petersburg called Chamber of Crafts. Some pretty stuff.